After a failed demonetisation exercise, the government is now targeting the Reserve Bank of India (RBI) funds, for managing the fiscal deficit and other expenditures. This is one of many issues, where the government and the RBI are at loggerheads. At a time when the unwinding by global central banks is expected anytime soon, which will result in outflow of dollars and some tough calls would be needed on the monetary policy side impacting inflation and interest rates, the government should just stay away from making an unreasonable demand. The RBI pays its entire surplus to the government every year. It has paid over Rs 50,000 crore every year with the exception of demonetisation year, when its income fell and expenditures rose because of printing of notes etc. The RBI's reserves, which come under the liabilities sides as they are provisions from profits, are for meeting the specific losses in future. The contingency fund is for meeting losses out of monetary policy and foreign exchange operations. The Asset Development Fund is for meeting the needs of internal capital expenditure to make investments in subsidiaries and associate companies. The NPCI, set up by RBI, is an umbrella organisation for all retail payments in India. Currency and gold revaluation account takes care of unrealised gains and losses. Some years, there are gains and some years, there are losses. The size of such funds, which used to be over 60 per cent of the RBI's balance sheet or assets in 2012, has been reduced to 26-30 per cent in 2018. In fact, the contingency fund and Asset Development Fund, which used to be over 10 per cent has reduced to 7 per cent in the same period. The fund size is close to Rs 10 lakh crore. 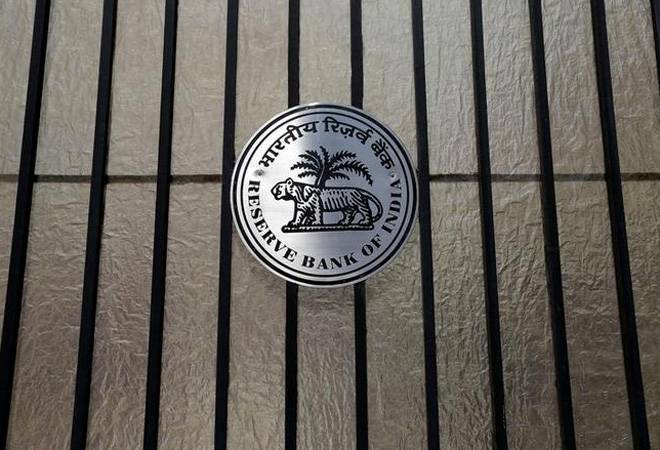 The RBI has been transferring its entire surplus to the government, which has resulted in a gradual decline of such funds in relation to the balance sheet size. A strong balance sheet of a central bank helps in rare events such as global financial meltdown in 2008. When the central bankers around the world were not able to improve the growth by keeping interest rates at near zero level, the central banks resorted to quantitative easing, meaning buying back of government securities or bonds from the financial institutions in exchange of releasing equivalent funds. This has swelled the balance sheet of central bankers globally. Take for example, the balance sheet of US Federal Reserve, which was less than a trillion dollar a decade ago but reached $4.5 trillion by 2017-18. The buyback of such large securities will attract mark-to-market losses, when the interest rates rise and the prices of securities falls in the market. In future, India can find itself in such a situation where we would need a strong RBI to withstand such a large monetary operation. Not many know that the RBI is also one of the largest holders of government securities where it earns interest income. The share of RBI's government holding is close to 15 per cent. This is very high as banks holds around 40 per cent plus. The holding of such securities by RBI may rise as the centre is still running a large fiscal deficit, with fiscal deficit still over 3 per cent for many years now. There are valuation losses if the interest rate direction changes in the future. In 2013, when the currency was dropping like ninepins, the RBI under Raghuram Rajan resorted to unconventional measures such as allowing banks to raise foreign currency deposits. To make the proposition attractive, the RBI had to dole out sops like opening a swap window for banks, where RBI bought the dollars and also offered a buy back after three years at a subsidised hedging cost of 3.5 per cent. While RBI managed to do this exercise without any big loss, the same cannot be said about future as a full scale trade and currency war could inflict a big hole in the currencies of emerging markets like India. One of the main functions of RBI is to act as the lender of last resort for the market participants. This is one of the ten key functions of the RBI; the other big functions are issuing bank notes, monetary policy management, regulations of banks etc. It is the prime responsibility of RBI to maintain the financial stability. The recent defaults by IL&FS, a non banking finance company with over Rs 1 lakh crore of assets, have created a systemic risk in the NBFC space. The cracks of asset liability mismatches are already visible in the NBFC industry as many are reselling assets to create liquidity. The market valuations of these companies have already fallen, which further impacts their ability to mobilise resources through QIP or pledging of shares. The rupee these days is not as stable as it was till 2017. The bouts of fluctuation on either side entails some cost. The RBI also uses its funds for intervention in the foreign exchange market. In case, the rupee strengthens unusually as happened in 2007 period, the RBI buys dollars from the market by releasing matching rupee funds into the system. This creates surplus liquidity in the market, which has to be ploughed back by selling bonds or by raising cash reserve ratio. If it doesn't do that, the excess liquidity with banks will push up the bond prices and hence yields would fall in the market. In case of a depreciating rupee, the RBI has to intervene by parting with its foreign reserves because if left unattended, the depreciating rupee will fuel inflation, which will increase the interest rates in the economy.